Cumin is a spice native to Egypt that has long been cultivated and enjoyed as a food and medicine in the Middle East, India, China and Mediterranean. It’s used in anything from chilli spices to curry. In as little as three months, the cumin group lost an average of 50% more weight than the plain yogurt group. They also decreased their body fat percentage by 14.64% or almost three times the control group’s loss . The authors speculated that cumin’s weight loss abilities may be due to the spice temporarily increasing metabolic rate. They even suggested that it could be a viable treatment for metabolic syndrome . Cumin also significantly reduced blood lipid levels. Triglycerides dropped 23 points compared to only five points in the control group. And LDL cholesterol dropped an average of 10 points compared to less than one point for the controls. The researchers believe the cholesterol lowering effect of the spice can be partly attributed to its glycoside saponins (1). These compounds prevent cholesterol absorption and increase its excretion. 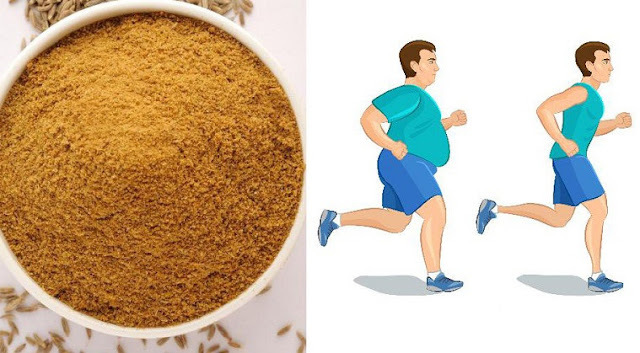 Another study, published in Annuals of Nutrition and Metabolism found that taking cumin cyminum L.
capsule among overweight subjects had the same effects of orlistat120 . Orlistat is a drug that acts as a gastrointestinal lipase inhibitor for obesity management and acts by inhibiting the absorption of dietary fats . If you’re not too keen on eating cumin with yogurt, you can easily add it to roasted vegetables, use it to season chicken or even add a pinch to vegetable soup. You can also mix it with your eggs in the morning!